Red color stands for spirit & passion, achromatic color does company's reliability. 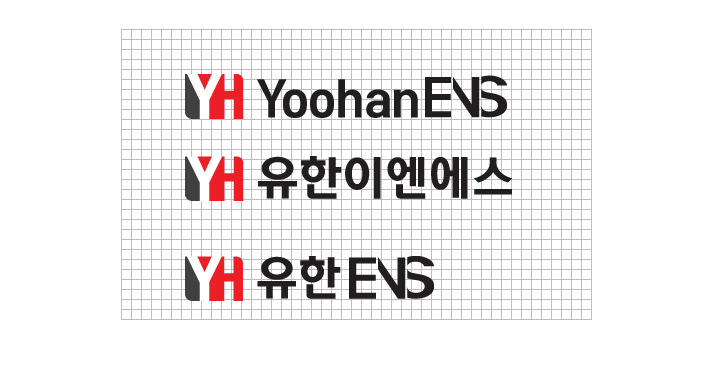 By adding round on the letters, it shows YH ENS's harmony of technology and passion. Signature is formal symbol to show symbol mark and logo type and to recognize to customers. When applying, it's not acceptable to change the proportion, distance and size without agreement. Symbol is identified with text. Color system is very critical elements to show company's image. When you use the colors, please apply designated colors in manual. 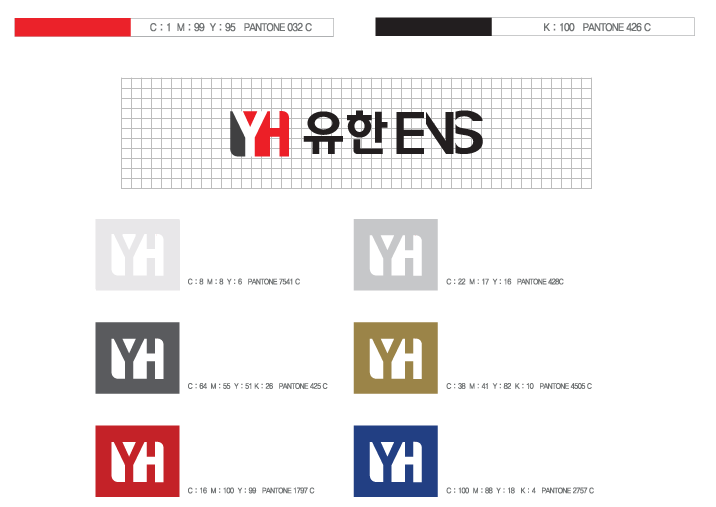 please contact to YH ENS when using other item or colors.